Energize Your Feet and Legs! The Advanced Foot Energizer transforms legs and feet from tired, aching, and sore to revitalized, refreshed, and restored. If you suffer from agonizing pain in your legs and feet, this revolutionary system is the way to achieve liberation from your pain. This dramatic change, from pain-filled to pain-free living, is provided by the Advanced Foot Energizer’s combination of Transcutaneous Electrical Nerve Stimulation (TENS) and Electrical Muscle Stimulation (EMS). What is EMS and TENS? Why is the combination of EMS and TENS important? You are in control. 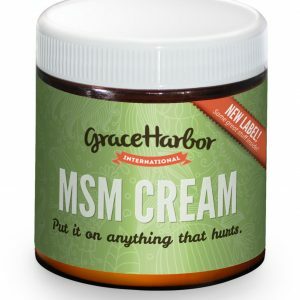 Choose if you want muscle conditioning along with pain relief or stopping the pain fast. It’s all in the modes you select. 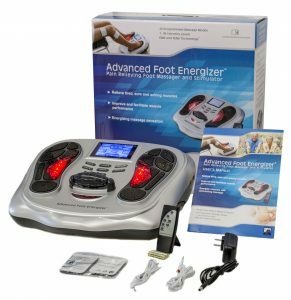 The Advanced Foot Energizer uses 25 programmed modes and 99 intensity levels to stimulate and massage your legs and feet with a gentle electrical current, activating your muscles and nerves. You decide the most comfortable stimulation level based on your day-to-day needs. Are there other benefits to choosing the Advanced Foot Energizer? Using the revolutionary Advanced Foot Energizer not only achieves freedom from hurting legs and feet, it also provides the natural benefits of increased circulation and muscle conditioning. Improved muscle performance and balance are yours when you use this incredible machine. You may also energize and revitalize other sore locations on your body with the four (included) body pads while simultaneously massaging your feet and legs. 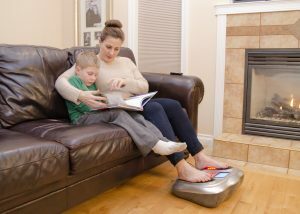 And the Advanced Foot Energizer is the first combination machine of its kind cleared for over-the-counter sale in the USA by the FDA. Developed as a powerful Class II medical device sold throughout Asia and Europe for many years, this amazing technology is now available in North America. With the use of the Advanced Foot Energizer, you can come home with sore and swollen feet and within 15-to-25 minutes, feel like you’re ready to start a brand new day – without relying on potentially addicting medication or undergoing surgery. How does the Advance Foot Energizer compare to mechanical or vibrating foot massagers? Traditional mechanical massagers vibrate and draw blood to the surface of your skin producing an “itchy” sensation. In contrast, the electrical stimulation by the Advanced Foot Energizer draws blood deep into the muscle tissue. By definition, this helps flush toxins and reduces swelling by acting like a circulation booster. Vrbova, Gerta; Olga Hudlicka, Kristin Schaefer Centofanti (2008). Application of Muscle-Nerve Stimulation in Health and Disease. Springer. Gently stimulate healthy muscles in order to improve and facilitate muscle performance. Increase the stimulated muscle’s strength and increase the stimulated muscle’s resistance to fatigue. Produce moderate muscle contractions and then relax your muscles producing a massage-like action. Relieve tired, sore, and aching muscle pain associated with your legs and feet. Massage healthy muscles with electrical stimulation around your body with included body pads. Relieve pain around your body with included body pads. 25 programmed modes to choose from: 1 – 8 EMS, and 9 – 25 TENS. 99 intensity levels activated by remote control or by using a button directly on the machine. The intensity level is carefully controlled so that intensity is not increased suddenly. FDA clearance for sale as an over-the-counter Class II medical device in the United States. It is proven to be as safe as other TENS and EMS devices currently for sale. Performance as indicated without causing injury or harm to patient or user; Class II devices are held to a higher level of assurance than Class I devices. 60 Day Buy Back Guarantee. 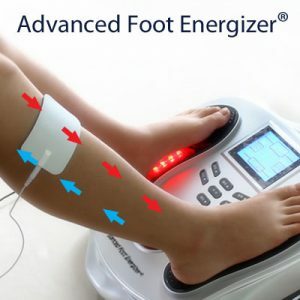 The Advanced Foot Energizer offers an electrode body pads subscription service that sends you 4 body pads monthly or every second month for only $10.99 including shipping. Don’t wait to transform your legs and feet from hurting to pain-free. Try the Advanced Foot Energizer today and transform your life! If you have questions or wish to place an order by phone please call us at (888)366-3257.